This is my first post for my blog marathon that starts today. Many of you, wait for my blog marathons, and have written to me telling me how you like to start your day with my posts. I feel happy to be connected to you, and become a part of your daily lives! Thank you for the privilege. I am typing this from the skies—from 35,000 feet above sea level. I shall post this later today, when I get a wifi connection. I left home at 6.45 am this morning and I am headed to Delhi for the times lit fest which is taking place at India Habitat Centre. The other authors in my panel are Ravinder Singh (who is also a friend), Andaleeb Wajid and Seema Anand. The great thing about litfests for authors is that we get to meet our fellow authors. But for events like these, we would be cocooned in our solitary writing wells. Travel is exhausting. I had just got back from a wonderful session at Kolkata. From Kolkata, I had flown directly to Kochi, where I was the chief guest at the inauguration of a book store by Mathrubhoomi books. I also met a wonderful Malayalm writer there. His name is Santhosh Echikanam. He has written many stories, poetry and also movie scripts. He gave an excellent speech and I loved listening to what he had to say. He promised me that he would send me his stories translated to English. However, I LOVE to read translated works from other languages—be in German or Malayalam or Hindi. I recently read Mridula Garg’s The Last Email which was translated from Hindi and I LOVED it. At the mathrubhoomi event, imagine my delighted surprise when I was gifted the English translated books of Vaikom Muhammed Basheer and Sankunni. I had heard a lot about both these writers. They are award winning, world class writers. However since they wrote in very high literary Malayalam, I was unable to read them. Now, thanks to the translations I could! So that’s just what I did. I finished Vaikom Muhammed Basheer’s Childhood friends (Balyasakhi) in one single sitting. He book wrenched out my heart! What a brilliant story it is. ( I felt the translation did not do justice in certain places---but one can never get the full flavour as for certain words, there simply is no English equivalent!) I was totally in love with the book, and the story. Even days after reading it, I am still thinking about it. It deeply moved me. I shall post again tomorrow, when I will have more news for you! I have just checked into my hotel at Delhi, and I am leaving for my litfest now. Please leave me comments! I love to read your comments, as otherwise it just becomes a one-sided monologue from me. With your comments, we can make this a dialogue. Are there any translated books you have loved? Do you like translated books too? Also, do you know that many of my books have been translated to Tamil, Malayalam and Turkish? Reply to me, in the comment box. Till tomorrow, keep happy thoughts. Would love to get your recommendations of regional language books (translated in English). While I've laid my hands on some and have loved them too, your recommendations would help too. I already mentioned three books in this post itself! :) Will tweet more as and when I read them. The other book I loved is 'Tamil Story' which is a rich literary work across the centuries translated from tamil. Was eagereagerly waiting for your post today and here I read. I am so happy to read your posts and this month has already started beautifuly for me with your blog marathon news. Yes mam I would love to read your recommend books translated in English. My first language is english then hindi and then sankskrit. This year I had kept a target to read at least 20 byooks by Indian and foreign authors. I am happy to have achieved to read 32 books. Last year I ended the year with your book " a hundred little flames" and it was a great book and beautiful heart touching story. This year too I want to do the same. When is your latest short story coming out ? This post of yours has inculcated a new idea in me to read books of different language translated in English and I would love to start this with a recommendation from you. Waiting to hear from you soon and I hope you had a great fest. Madam you mentioned about Vaikom's book in LITFEST DELHI also. Always delighted to read your blogs. You are the best madam in whatever you do. That be writing, blogging or sketching. Always feel inspired after meeting you. Thank you so much Sanjya. And thank you for attending too! 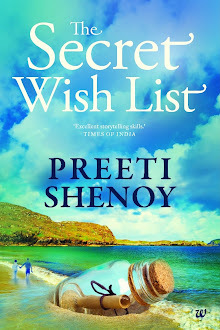 How I wish I could be in India and attend at least one of your book launches or litfest event. But this marathon helps me stay connected to you. Thanks!! 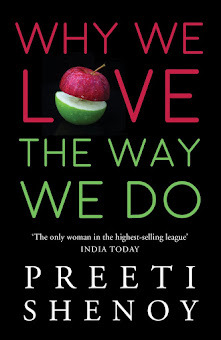 Hi Preeti, Just read your blog post and feeling happy. For me Sunday is fun day and exclusively allotted for music and reading. 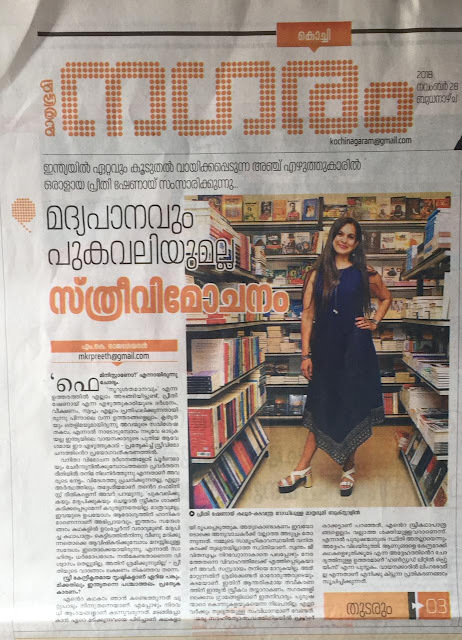 Hope I can meet u at Kozhikode when you come for Kerala Literature Festival, coming Jan. Love to request you to write a few words about your Kerala connection and your knowledge in Malayalam in your next post. Also, write about your grip over regional languages like Tamil and Kannada. Happy weekend. Thanks Sunil! I think I have already mentioned about my kerala connection in my book A Hundred Little Flames , haven't I? Born and brought up in north India, I studied in KV schools, so never had exposure to my regional language that is malayalam. Now settled in kerala I am learning the basics. Hope I will improve gradually😀. Haha!! I hope you do! :) I love Malayalam. Completed The Rule Breakers a couple of weeks back. Right now I am in the midst of my exams till mid December but will surely post a review on Amazon. Loved Day 1 of Blog Marathon. Thanks so much! good luck with your exams Archit! December is my favourite Month.. and your blog marathon has added the warmth of morning sunshine on soft dew. Keep writing like this and it is really heartwarming to start your day with the blogs. Speaking about the translated books I am yet to delve in my regional literary landscape- Gujarati. And reading regional works help to touch unknown corners of your mother tongue and builds a connect a homely one. Have a nice time ! Thank you ! I too want to read "childhood Friend" though I don't like translated version because it lost the original essence. I try to read all books which you speak about. Once in a live session in Facebook you told about "Tuesdays with Morrie" which was gifted to you by your father and this book had inspired you. After listening that I bought it and read and I liked it. Hi Shyamali; Yes, my dad had recommended the book (not gifted it). So glad you liked it. It's a brilliant book. I have always wondered how authors or creative minds as such go about their routine life and it's really good to know that events such as the lit fest are a joy to attend for both, readers as well as for writers. Your post has also helped me open my vision to explore regional literature ( of course those that are translated in English) and I am more than keen to explore more such works written in these languages too. Keep writing ma'am, it is a joy to read your blogs. Thank you. Thank you so very much manish. Do read the regional language work. Some of them are so so good! Hi Preeti! I read this post yesterday and had commented, but I think I forgot to press the 'Publish' button hence it did not show up on the page. Anyway, it's so nice of you to be attending so many events from all corners of the country. I follow your updates on Insta so feel as if I am traveling with you wherever you go. I knew your books have been translated into Regional Languages, but never knew it had been translated into Turkish! That is excellent news. I feel more and more readers need to read your works because you are an incredible author who has made a deep impact on my life with your books! Keep it up. Looking forward to this month thanks to your Blog Marathon! Take care! Your posts are really a treat for the reader. Can't wait for your posts every single day. I enrolled for masters degree in Ignou. I got read to contemporary literature in English. Salt by Maheshwari Devi,Tughlaq by Girish Karnad and The kingdom's end by Sadat haasan Manto. Oh wow Jyotsna! I havent read these. Did you enjoy them? Do you recommend them? Let me know. Happy to see ua new blog..
everyone may have a dream life? How many of them r really achieved. Only few.. while going thorugh ua instagram profile i felt like that. U r living in the way u want.. Ur pics are reali good. Frankly shall I tel something ?? 1st thing i did after seeing ua insta profile is, i googled ua age! N I was shocked.. ! If u Don't mind, please reveal the secret. .
For me health is wealth n its always in ma 1st priority. I hope u r also doing regular exercise..
U may think, " who is dis guy n what he is talking ?? " Hihi. . U told kno, its an interactive blog.. so I also thought to talk frankly n open.. Anyway I hope I could learn something, not something .. many things.. after going through the life of a writer, 1 whole month. I also wish to write 1 book.. atleast 1.. but not now.. but 1 day , definitly I wil start, writing.. ! Vaikom Muhammad basheer is ma favourite writer.. as u said u may not get d full flavour when u read a translated version, especially books like these, written by our great beypore sultan(basheer).. still u liked it kno.. dats y he is ma favourite. I couldn't visit Kochi when u were there. (Bcoz am working in a bank in Mangalore and it was a working day too).
. I reali wish to be der when i saw ua mail.. n I felt I missed it badly after seeing ua posts in instagram . Am suggesting u a Malayalam book written by Benyamin, named ''aadujeevitham"(malayalam). Joseph koyipally translated it to "goat days"(english). If u didn't read n if u get time read.. definitely u wil like..
Blog marathon! what a wonderful concept ! I'm always curious to know how one writer writes consistently. Writing a blog everyday needs tremendous observation skill and passion for writing,that you have. I like your writing because I feel it is a face to face chatting . Yes,recently,I read 'Poonachi', a wonderful translated feeble by Perumal Murugam into English. That is one of the best book I read recently. I recommend this title everyone. Thanks again. Reading all your posts.